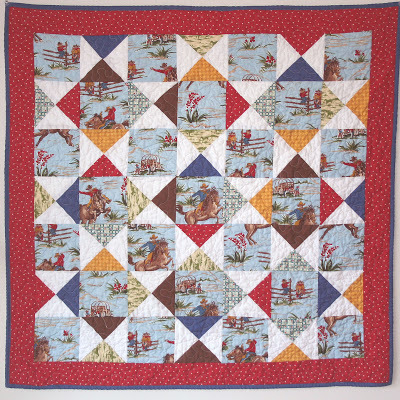 So this is the cowboy quilt, I finished quilting it a couple days ago and I think its pretty cute. I LOVE the cowboy fabric. 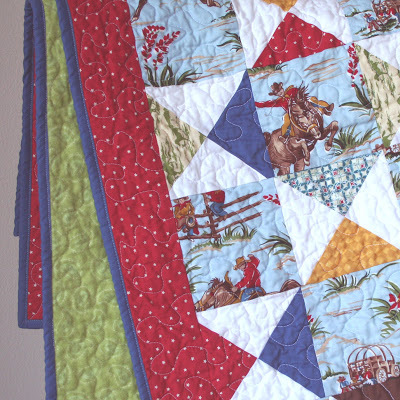 My Mom found some ADORABLE CowGIRL fabric that I might just have to make another one of these out of. Anyways this was a fun quilt, I thought it was going to be easier than it was when I was making it in my head, but then again I think everything is easier in my head. I got this quilt idea from JCHandmade, she made a really cute fall quilt in this pattern. And today I finally got this pillow cover done for a lady on etsy.com who wanted these Amy Butler fabrics, which I totally LOVE and I can’t believe I hadn’t bought all these before! 2 Responses to YeeHaww its a Cowboy Quilt! that’s a sweet cowboy blanket allison! did you come up with the pattern on your own? i would love to know where this one came from, be it your crafty mind or a blog. 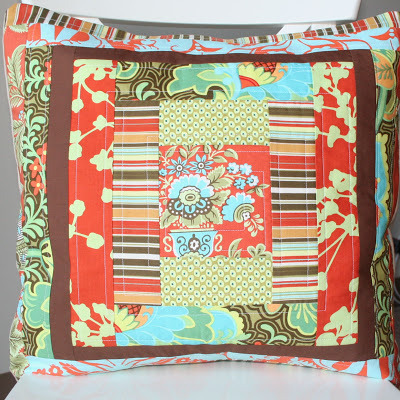 I think I’m going to have to buy some of your cute pillow covers around the holidays! Very cute stuff! :) LOVE IT!